"Two key type specimens from the discovery were analyzed, with several collected specimens that are made of the two key type specimens igneously combined, therefore petrologically related. 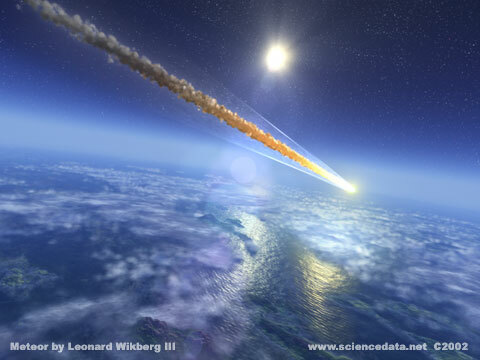 The meteorites have been validated through macro and micro evidences, through impact shock metamorphism affects at the micro-grain level using thin-section analysis via optical mineralogy, with shock levels of (S4/S5). They are igneous Felsic and Intermediate-Felsic rocks from a differentiated planetary body using whole-rock oxide petrology analysis and optical mineralogy. The exact igneous rock classifications have been identified. Oxide whole rock analysis and optical mineralogy have validated the parent body as Mars (using 7 - 9 different parent body validating tests for both type specimens). 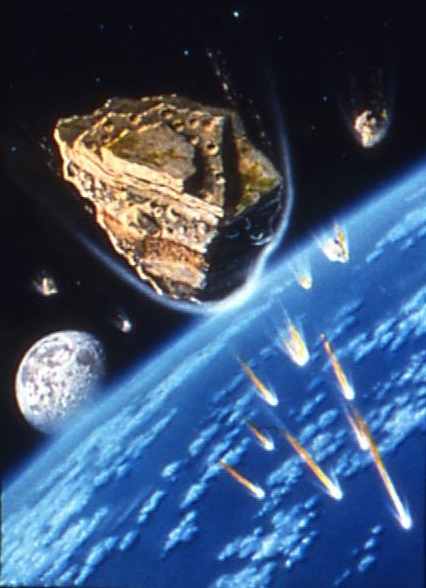 This discovery represents two new Mars meteorite classes/groups, on par with the ALH84001 and the new 'Black Beauty' Mars meteorites in terms of astrogeological significance and importance." 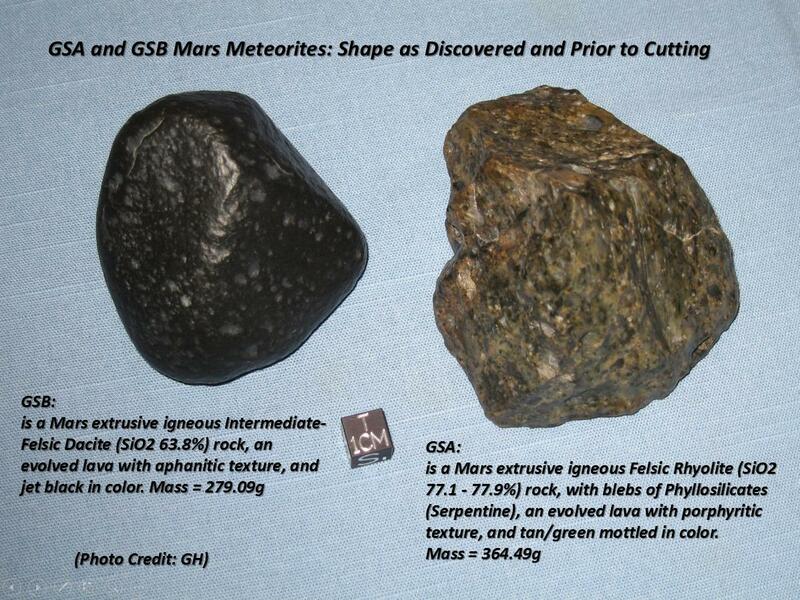 Photo caption: GSA and GSB are two smaller typical key type indicator specimens paired with much larger meteorite fragments from the same discovery/find within the same footprint. These two were chosen for analysis as to not disturb larger fragments. 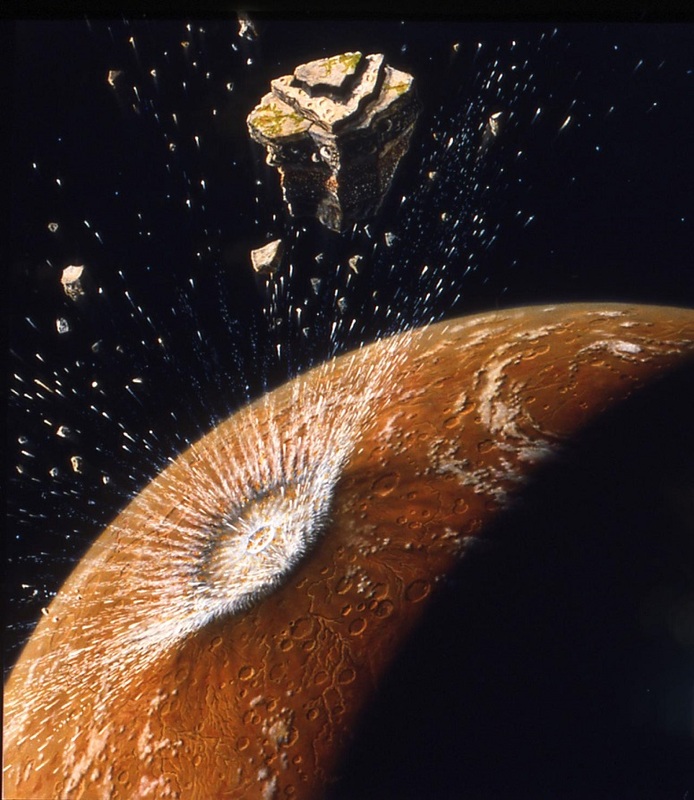 There are fragments from this meteorite discovery/find that are larger than the famous Zagami Mars meteorite (18,000.0g/18.0kg/40.0 pounds). In honor of this upcoming Jewish High Holy Days ("Days of Awe"), September 2014 Season, Rosh Hashanah (5774 - 5775 CE/AD), Tashlikh, and Yom Kippur, the empirical evidence to prove this incredible scientific discovery is given. 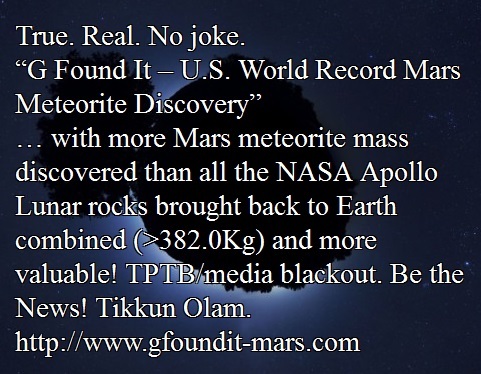 This U.S. World Record Mars Meteorite Discovery is true as originally announced. 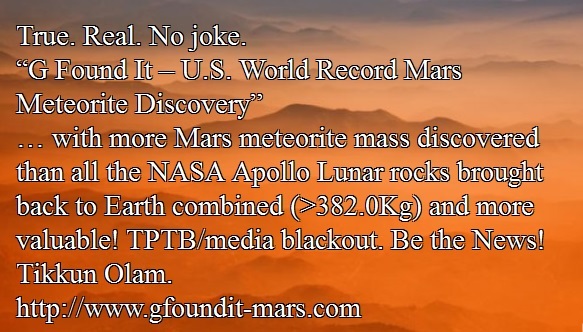 And it's possible to do the following three things: shatter all existing Mars achondrite meteorite World Records, prove this incredible scientific discovery that has price-less scientific and monetary worth, and do the right thing through monetary rewards that can help many people through the funding of many important social justice causes for all. 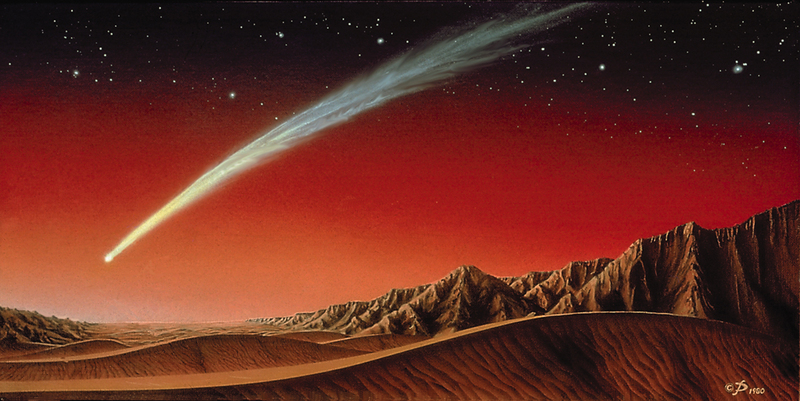 Tikkun olam. It's The Peoples' National Treasure, therefore The People are to benefit.